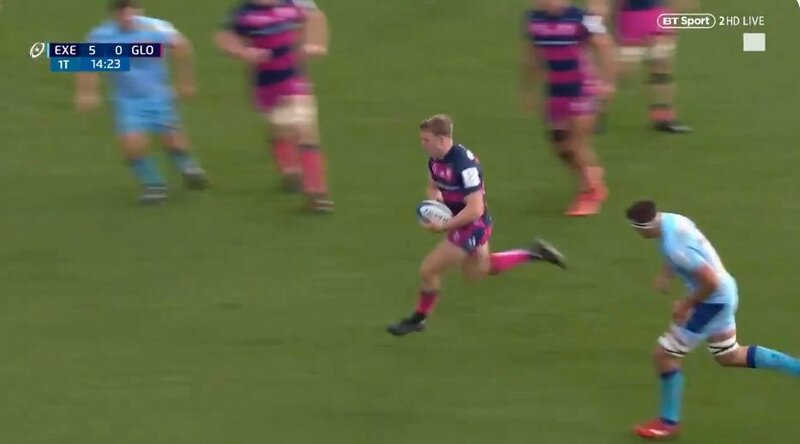 Many might have bet the house on the new Premiership sensation Olly Thorley (6’1, 97-99kg), who has got serious long speed. But what’s that I see? That old Welsh horse on the outside! Cuthbet reals him, even though in Thorley’s defence he had to kick out of a tackle that would have cost him a couple of yards. Still, Cuthbert was always getting him. Ollie Thorley vs Alex Cuthbert is some foot race!